With someone in North America dying of a cardiovascular disease (CVD) every 39 seconds, it is no wonder CVD is such a prominent health concern in our society. Unfortunately, despite heart disease being one of the most talked about health risks, it also happens to be one of the most mistreated and misdiagnosed conditions around. For half a century, people have been following medical advice based on outdated research on CVD. 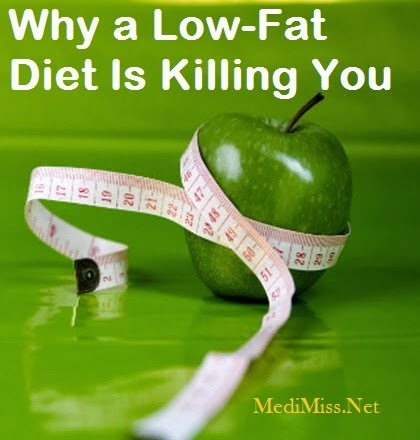 When it comes to the prevention and treatment of the disease, low fat and low cholesterol diets have been recommended and backed by the medical community for decades. This belief that diets high in cholesterol and saturated fat are building blocks in the development of CVD is so deeply engrained in our society that people refuse to believe the more current and respected research. Only a small portion of the cholesterol in your body comes from diet, as the body cannot absorb a large portion of the cholesterol you ingest. In fact, the liver creates 75% of your body's total cholesterol. Your body has the ability to regulate cholesterol in the blood and modifies internal production levels based on dietary intake. If you do not ingest enough cholesterol, the body makes more and if you ingest higher amounts of cholesterol, the body makes less. Recent studies have shown that cholesterol intake through diet has little to no effect on blood cholesterol levels of most people. Basically, eating cholesterol is not going to give you a heart attack and lowering your cholesterol intake will do relatively nothing to your body's overall blood cholesterol levels. Saturated fat has also been one of the medical industry's main concerns when it comes to CVD as it has been said to raise cholesterol levels in the bloodstream. Current research is not in agreement with this theory and has found that instead of being harmful, saturated fat can actually have a positive effect on your cardiovascular health. When it comes to saturated fat, although some studies have found that diets high in saturated fat increase blood cholesterol levels, more recent and longer-term studies have found little to no connection between the two. Several other studies conducted on low carb diets, which are often high in saturated fat, have concluded that saturated fats actually have a positive effect on cardiovascular health and CVD risk markers/factors. Low-carb diets high in saturated fat have been linked to weight loss and have neither decreased nor increased the amount of LDL ("bad cholesterol") in the bloodstream. These studies have found many health improvements in their participants related to saturated fat intake, including its positive effects on blood pressure, BMI, abdominal circumference, etc. Overall, many of the more recent and respected research has found that saturated fat is linked to a lower risk of CVD as well as stroke. In 2008, American's spent $300 billion dollars on cardiovascular disease; almost double what it would take to end world hunger. In reality, heart disease can be treated with much less cost and a much higher success rate by a change in diet and a few other lifestyle changes. The key to a happy, healthy heart is not found in cholesterol lowering medications or low fat-diets. A word of caution. Medical advice/trends do not change with research. Medical advice tends to change with funerals. As opinion makers die, new people with new leadership and new ideas tend to change practice guidelines. Don't be discouraged if your doctor doesn't agree with this. Statin drugs are the leading class of drugs being sold on this planet. Billions of dollars are spent every year on lowering cholesterol. There is a lot of "love" in support of the "cholesterol is bad" camp. It isn't going away anytime soon. Do your research and take control of your health. It is yours to take care of, not your doctor's.